No more stacks of sign out sheets filling your back office. Go digital with a mobile tablet. We digitize your sign in-out process with our one-touch mobile solution for students and staff. Keep your parents and licensing agencies happy. Get rid of those papers! Save student or staff sign-in in our cloud forever, visualize the data and pull customizable reports. Check-in students and staff securely. Record accurate timestamps for your reporting. Lock the device to turn it into a self-service kiosk with a secure pin or quick pin-less mode. Capture digital signatures and a note from authorized pickups. View real-time student to staff ratio anytime. Set up alerts to get notified when your ratio is off. 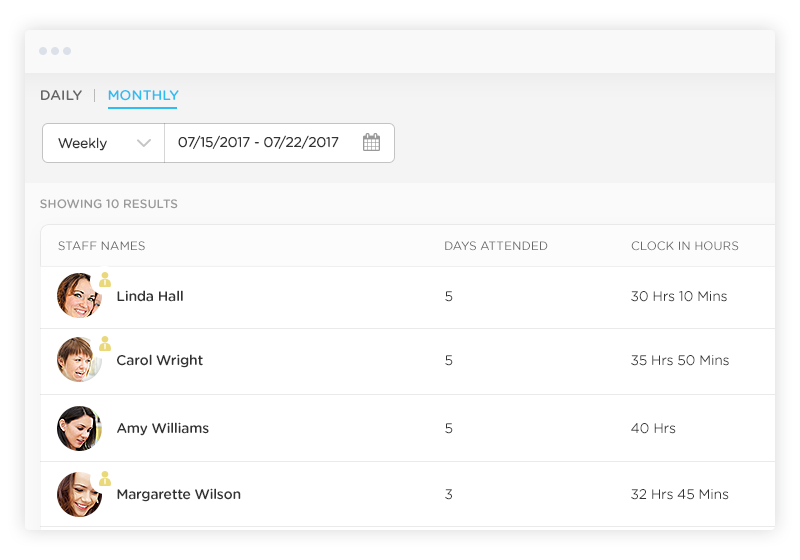 Track your payroll hours with staff clock-in. Integrate with payroll systems. Record and manage absent records along with detailed notes. Configure a fully customizable form for authorized pickups to fill out during sign in-out. Generate reports for licensing, payroll hours, center management or billing. Maintain a list of authorized pickups for each family. Track your payroll hours with our timeclock features. All these payroll reports can be used by your bookkeeper to run paychecks. 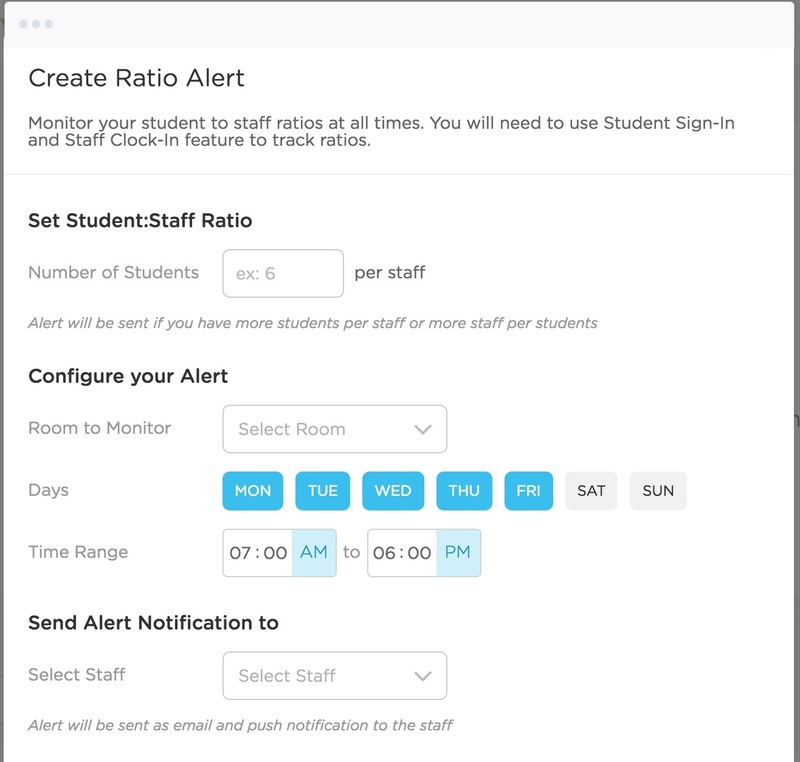 Track student-staff ratio for every room and get notified with our smart alert system. Simply configure your ratio by room, day or time and never worry about going out of ratio. Always stay ahead with licensing compliance. 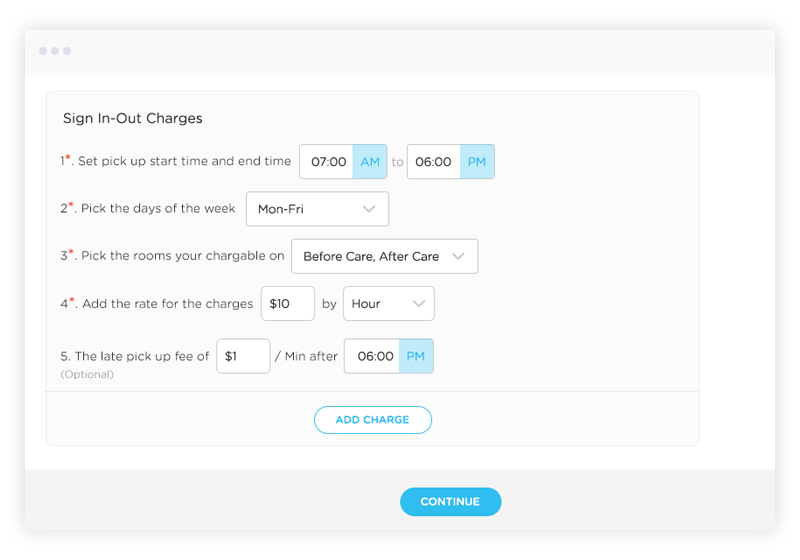 Kinderlime allows you to track time by the minute and charge parents with our integrated billing solution. Customize rates, configure a grace period, and handle siblings with ease. Add any number of authorized pickups for each student. Do you have families that carpool? Simply authorize another parent or guardian as a carpool pickup, and they can use the same pin when signing out the children. Alerts & Notifications: We automatically send secure email and push notifications to parents on sign in-out.